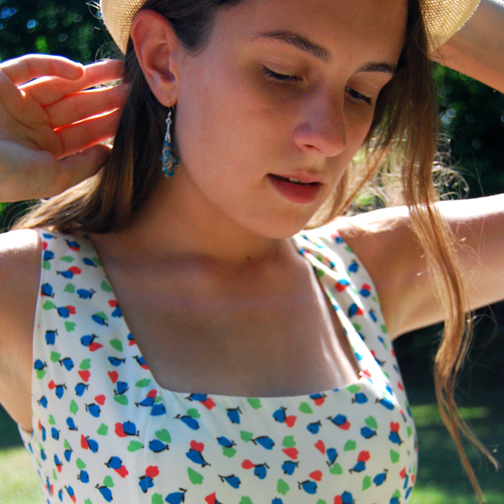 The pattern on this dress looked like apples to me, but it could also be petals or hearts. My styling was simplistic but chic--perfect for summer. I have some ways in mind to wear this layered as well in the winter! Also, if you'd like to get it in sky blue I found it online at Tobi HERE. I think the blue is just as pretty if not prettier! And don't forget, you can win your own YA Los Angeles dress (I included the widget below)! That is the cutest dress ever! 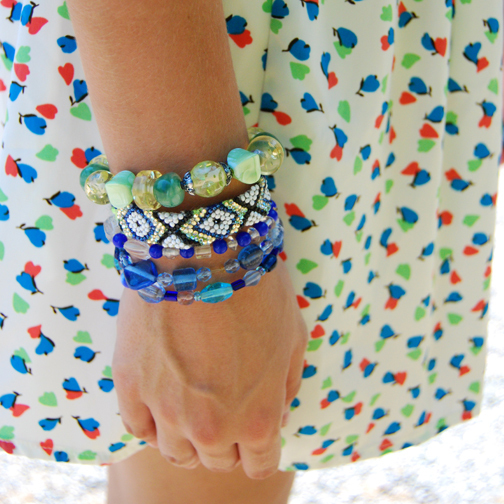 And I love how you paired it with all those bracelets! That dress is so cute! I love the tiny printed pattern on it. I think they kind of look like apples, too! Or maybe pears. Maybe it's a delicious modern fruit salad kind of dress? :D Haha! They do kind of look like apples. cute! Perfect accessories too. I love the belt and hat. You have one of the best jewelry collections I've seen! So sweet! Love this look. what a cute dress! love it. Such a cute dress, and I love that you paired it with that hat. Too cute! Such a cute look! Loving the print on your dress! Can't wait to see your photoshoot photos!